Add a pop of red and yellow to your autumn flower garden with the colorful mum. It starts blooming Late September in the North and Early October in the South. 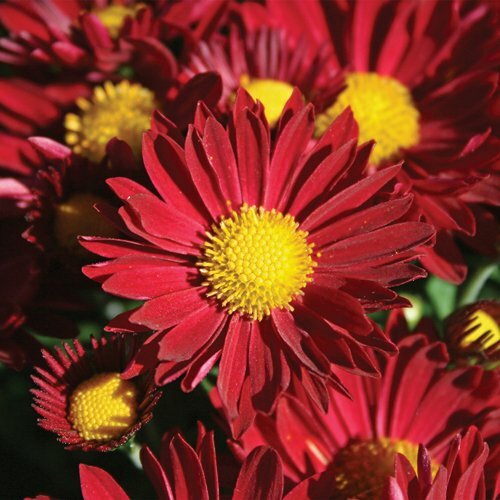 All our 'Edana Red' Chrysanthemum Plants are grown and shipped in fine quality growing medium. They are guaranteed to arrive alive and ready to plant. Comment: My mums are doing great! It was so convenient having them shipped right to my door instead of going to a nursery and trying to find what I was looking for. Comment: Beautiful and as always healthy.